Today I received a confirmation by 'BelgaFilms', the Belgian distributor located in Brussels. 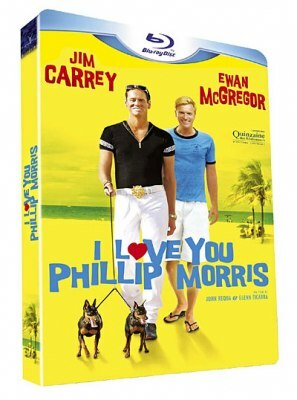 "I Love You, Phillip Morris" will be available on DVD this summer (see date above), don't know yet about the BluRay. I thought a topic like this would be a good idea, just like the theatre-releases. And TNPihl is able to edit for the updates. Good idea. I have also got some information from the distributor in Scandinavia. Updated the first post. It's already coming out on DVD? Added release dates for France. June 9th on Blu-ray and June 16th on DVD. Released today in France on Blu-ray and DVD. it went straight to DVD? Is there a DVD that has a Gag Reel or is that what you wished they did? Hi Fluffy....You sell the French version?? Can you tell me if you want to select between languages can I find Italian? I was preparing for watching the movie for more than a year, I suppose. I started to think that I would never dare to watch it! And not because of the gay theme - I love this part! I merely was sooo frustrated with his last works so I was afraid this movie would be a disappointment again, like in his plays and the general concept in #23 or Yes man. But guys! I really loved the movie and Jim playing! Ewan plays better though, but anyway - they both rule!